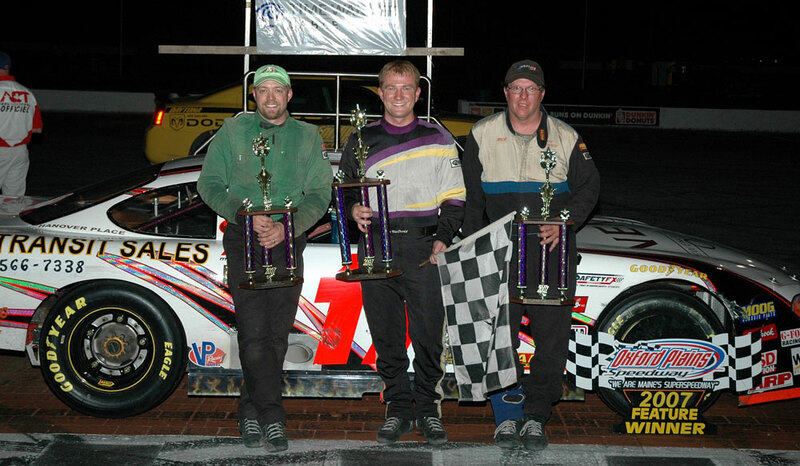 Eddie and crew chief/co-owner Rollie LaChance teamed up for an impressive win in the American-Canadian Tour Time Warner Cable 100 at the famed Oxford Plains Speedway Saturday night. 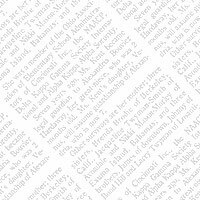 Forty-five cars tried to qualify for the thirty-three starting spots. Eddie started in the third position on the grid after winning his heat. Strategy played an important role in the win since the race was caution-free lasting only twenty-eight minutes. “Since the race was 100 laps, I just tried to take it easy and save my tires for the end. I don’t think anyone expected it to go without a caution, so when I looked and saw it was lap 67 already, I decided I better get up on the wheel and get back a couple of spots I lost earlier,” said Eddie after the race. With the laps quickly winding down, Eddie began his charge to the front using lapped cars to his advantage saying, “Brown got slowed down by the lapped traffic and that gave me a chance to pick off some cars. He got boxed in and that gave me a chance to get by him.” With twelve laps to go, Eddie passed Brown for the lead. Ricky Rolfe put on a late charge but Eddie again used the lapped cars to his benefit. The MacDonald Motorsports team will run the remainder of the Busch East Series schedule including the races at Lime Rock, New Hampshire International Speedway, Mansfield, and Dover. Eddie’s win at Stafford Motor Speedway guarantees him a start in the Toyota All-Star Showdown in Irwindale California pitting the best in the East against the best in the West. Outlaw stock car racer Eddie MacDonald of Rowley, MA made his first American-Canadian Tour (ACT) main event start of the season a good one on Saturday night at Maine’s Oxford Plains Speedway, taking his first career ACT Late Model Tour win in an exciting caution-free Time Warner Cable 100 that was completed in under 29 minutes. 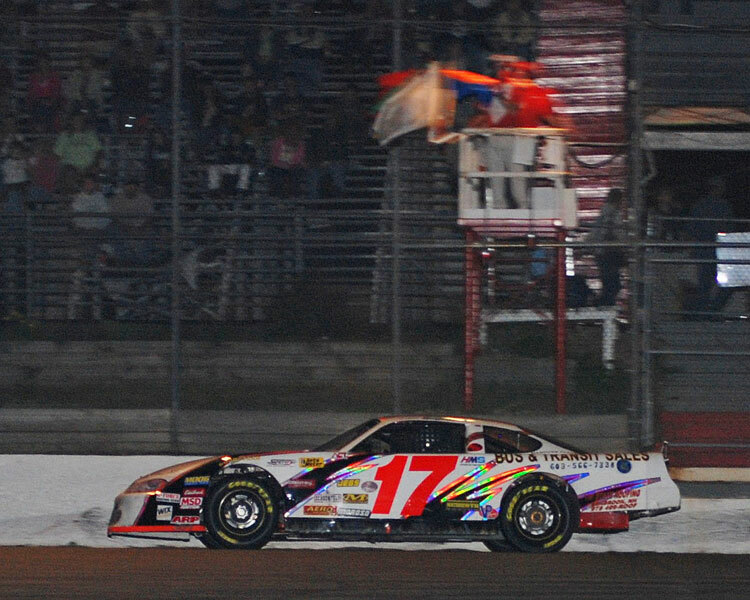 MacDonald made a daring inside move underneath recent TD Banknorth 250 Champion “Rocket” Roger Brown of Lancaster, NH to take the lead with ten circuits remaining, then held off a fast-closing Ricky Rolfe in heavy lapped traffic for the victory. 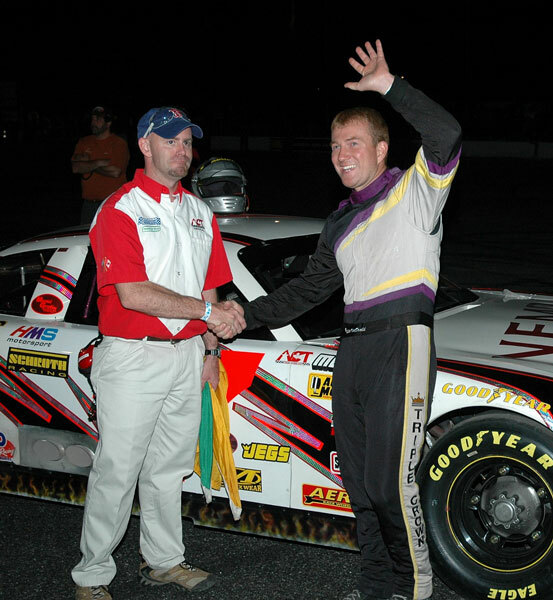 MacDonald, 27, has been picking and choosing his race events in 2007, and was making just his second ACT Late Model Tour appearance of the year. His first attempt, which also came at Oxford Plains Speedway in April, found him missing out on a qualified starting position. 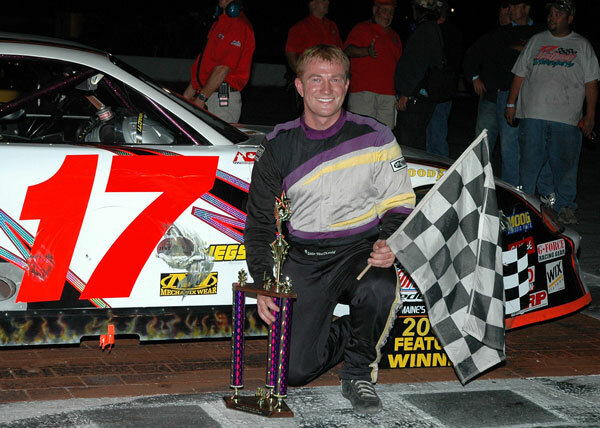 Since then, he has been a part-time competitor in weekly events at OPS with multiple top-five finishes, and took a main event win on the NASCAR Busch East Series at Stafford Springs, CT earlier in the year. His win in the Time Warner Cable 100 makes MacDonald the eighth different ACT Late Model Tour feature winner in eight races this season. 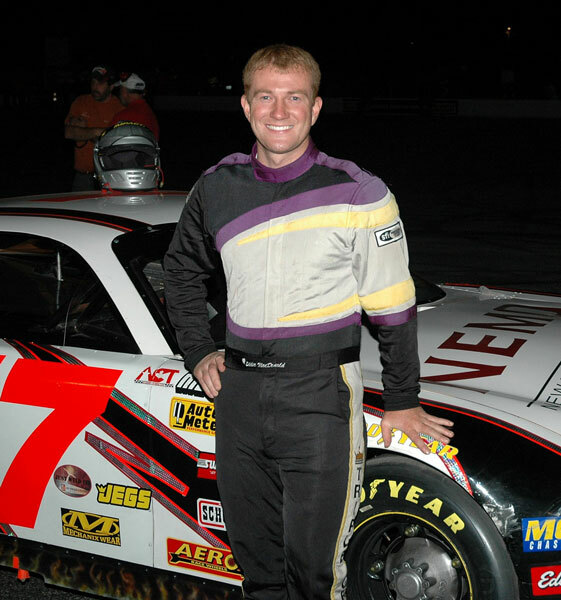 Rolfe, of Albany, ME, is a weekly competitor at Oxford Plains and was an ACT Late Model Tour feature winner in 2002. On lap 91, he passed Brown for second place and made a charge at MacDonald with eight laps remaining, but was unable to complete the outside-lane pass. He settled for second place as OPS Late Model point leader Travis Adams of Canton, ME nipped Brown at the finish line by less than two feet for third place. Six-time ACT Late Model Tour Champion and current point leader Jean-PauL Cyr of Milton, VT finished fifth.